Having the right office fit out is a facet of business that can be overlooked, but can make all the difference. When you have a space that’s properly aligned with your objectives, vision, and values, the benefits and results can be incredible. An office that’s capable of working in tandem with you and your team is a great way to leverage company performance. Having professional input is the only way to know for sure that your space has been optimized to its fullest potential. At DB Interiors, we understand that Kiwis have DIY in their blood, but having an expert on board ensures you don’t miss key design steps for your fit out. Today, we’re delving into exactly what these advantages are. An office interior specialist worth their salt knows how important furniture is. Here at DB Interiors, we make recommendations based on a number of factors – client budget, workspace culture, and business goals. Interior design specialists strive to have a well-rounded perspective on a design space, bringing a fresh take to the table, while also respecting the established context of a company. A major reason that businesses tend toward professionals for office re-designs is the boost it can bring to their productivity. Whether it’s ergonomic furnishings, or increased efficiency via new storage solutions, a well-organised office space has proven to speed up work time and again. The more your space is able to work in tandem with your staff, and not against them, the more productive your business will be. Some of the most predominant projects have been in Auckland and Wellington. Alongside increasing productivity, a stress-reducing, comfortable office will also keep employees happier. This has benefits beyond boosting work output, such as lowering your employee turnover, and fostering loyalty with your staff. This is a great way to grow your brand, as happy staff are more likely to engage with your branding, and become brand ambassadors outside the workplace. Many offices take their floorspace for granted, hardly even realizing the potential they could have, if only they moved around a few key items/walls, or furniture. While not always that easy, the return on investment for this advantage can be huge, depending on the space in question. At DB Interiors, we understand how space and light work on a deep, technical level, and we can identify ways to improve your office that you may not have even noticed yourself. Keeping pace with the ever-expanding world of technology can be difficult. Rather than constantly trying to catch up, a professional office fit out is an opportunity to get ahead of the curve, and stay there for years to come. 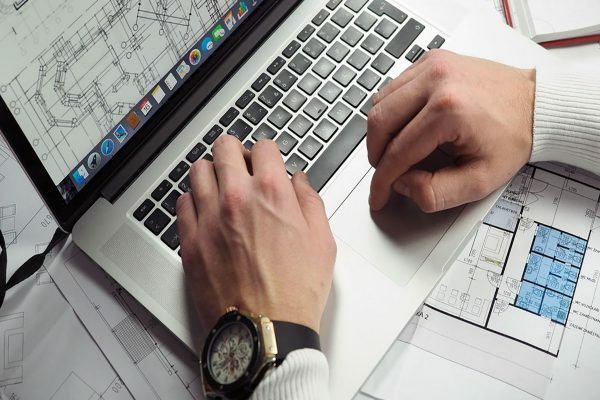 Investing in newer technologies will ensure you aren’t caught off guard by developing innovations, and keep your and your workspace relevant to the modern age. Whether you’re looking into a new office fit out as part of an expansion or a relocation, doing it with the help of a professional will save you time and energy. 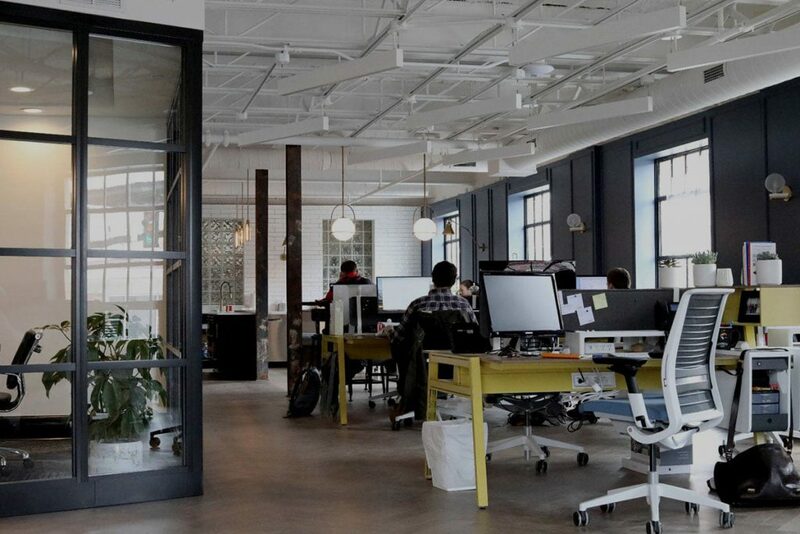 Making changes to your office space can be difficult to manage – no business director wants to reduce production while changes are being made to an office interior. Having a professional on board is the most reliable way to ensure the process doesn’t disrupt the team. The way a company looks is a crucial and sometimes undervalued aspect of business. The aesthetic you choose to represent yourself sends a message not just to your clients, but to your employees as well. The design elements you prioritise can have a profound effect on the sort of internal culture your office ends up developing. Following on from the previous point, the ultimate expression of your brand image is your first impression. A professional office fit out puts emphasis on considering exactly what you need your clients to think and feel when they enter your space for the first time. Having a reputation for a clean, stylish office is a huge advantage for a company. Word of mouth is one of the best ways to gain traction, and encouraging that with a space you’re proud to call your own is an efficient investment – not only are you putting resources into improving your own productivity, and giving back to your employees, you’re also giving yourself marketing opportunities. Finally, having expert advice on your communications technology is important no matter what business you run. There’s nothing worse than struggling with a poor-connection Skype call, or falling behind on work due to communication falling between the cracks in your departments. An office fit out is the best chance you have to address these issues, and ensure that communication – whether it’s between groups onsite or offsite – is clear and reliable. 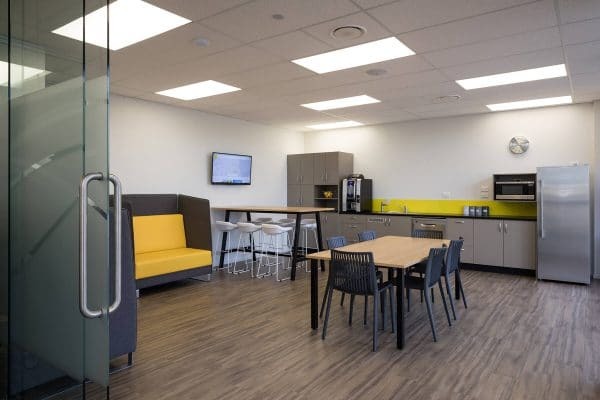 If you’re looking for the best office furniture Auckland has to offer, look no further. DB Interiors can help you find exactly what you need to transform your space from what it is to what it could be. Call today to book your free discovery call!